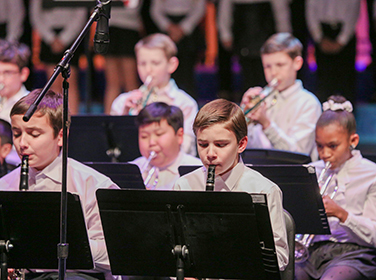 In an atmosphere that nurtures students while preparing them for the responsibility of upper grades, the Middle School offers students engaging classrooms, creative opportunities and teachers who mix rigor with warmth to build community and individual confidence. Exploring media, traditions and voice in artistic expression. Part of the school day, Athletics provide MS students the chance to explore sports and play on an intra-school team. Supporting the student’s emotional, moral, social and intellectual development through small-group discussions. Our start-of-the-year tradition that brings classes together through off-campus adventures. Representing an impressive array of credentials and experience, all with a dedication to students. Clubs and other activities providing extra-curricular options for all interests. Learning and reading specialists provide help to students to be successful. Resources to expand learning beyond the classroom. In-school and after-school opportunities that develop the student’s nurturing soul and teach them the power of taking care of others. Read about the latest news and events from Middle School. Welcome to Bullis Middle School! The staff anxiously awaits the 2018-2019 school year. 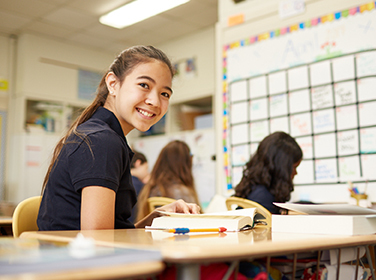 As teachers prepare rigorous academic courses, athletics activities and visual/performing arts lessons: middle school students are encouraged to experience the unknown, learn from mistakes and find ways to apply new knowledge to their world. When students experience impulsive behavior that lead to mishaps essential for growing, learning and maturing. Keep teens involved in sports, clubs and afterschool activities. Listen more and give less advice to learn more about their teen. Develop trust by validating feelings. Open doors of communication by finding something in common you and your adolescent enjoy. As parents provide guidance and understanding, the Middle School staff promises to incorporate Bullis core values in the curriculum to develop outstanding citizens, encourage diversity acceptance and promote cultural competencies.